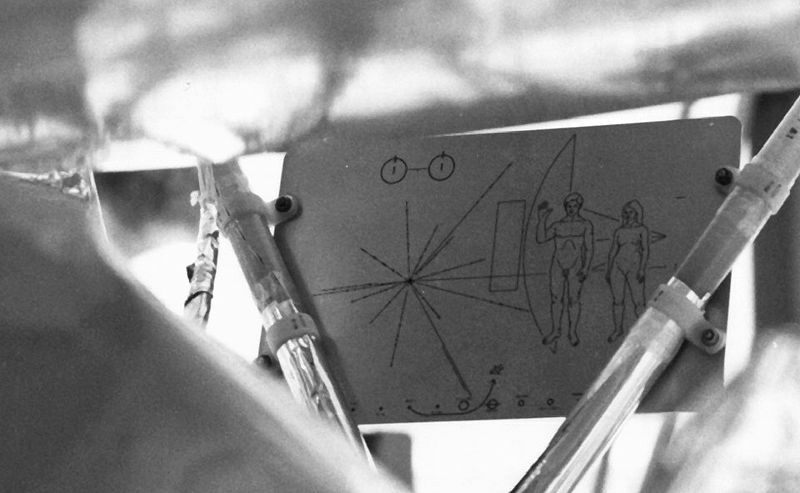 "The collection of images included on EchoStar XVI may be easier for any extraterrestrial intelligences to find than the plaques and records flown on the Pioneer and Voyager missions." Image Source: Creative Time via Space Review. Space, the final archive. Some may remember this post on the Voyager spacecraft time capsules. A commercial communications satellite, launched from the Baikonur Cosmodrome in Kazakhstan on 20 November 2012, continued the tradition and carried a collection of photographs and images of artwork designed to outlast humanity. Objects in geosynchronous orbit (aka the Clarke Belt, named for writer Arthur C. Clarke) could stay in space for over four billion years; the new satellite's payload is meant to survive for this duration, to offer a potential time capsule for alien intelligences to discover. 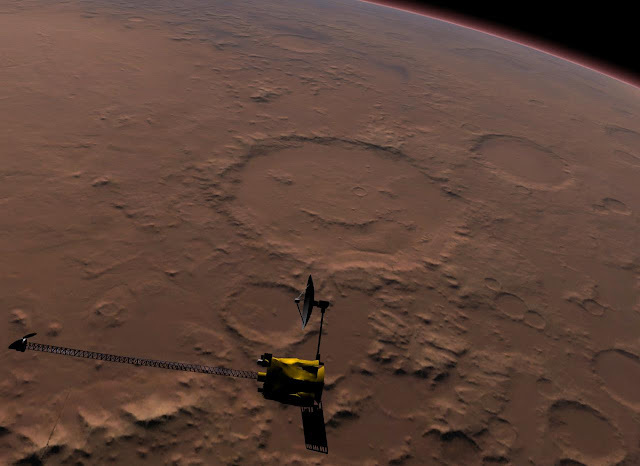 The Galle smiley face crater on Mars. Other smiley face craters have been found elsewhere on Mars and Mercury. Image Source. My blog series on Retrofuturism departs from the term's normal definition of past visions of the future. Here, I define the term differently to describe symbols from the past which are appropriated for the current purpose of painting pictures of the future. In addition, one earlier post in this series returns to Baby Boomers' ideas in the 1960s as they were originally conceived. Occasionally, this blog will be examining ideas from that era and assessing their impact now. One of the more curious corners of the often-stereotyped Boomer preoccupation with esoteric spiritualism in the 1960s and 1970s is the notion that that generation was somehow celestially blessed. Unseen worlds of magic, transcendental universes, and the very heavens lined up to bequeath a great destiny to them: from the Age of Aquarius to the alignment of the planets, to pseudo-science and astrology, a bizarrely egotistical mythology evolved that the universe recognized the brilliant fate of this generation. NASA's Viking 1 Orbiter view of a face on Mars (1976). Image Source: NASA via Al Jazeera. That mythology encompassed a host of 70s' fads: UFOs and aliens, ESP, telekinesis, the Bermuda Triangle, ghosts, exorcists and demonology, and New Age magic. These fads got mixed up with the popular understanding of space exploration. 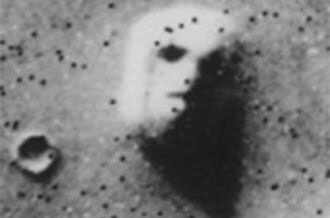 In 1976, a face on Mars, which disappeared when photographed from another angle and over time, was heralded in the tabloids as proof of an alien civilization. Image Source: The Nightfall Project. Time Management. Procrastination. Internet Use Disorder. Today's Countdown to Hallowe'en blogathon continues by looking at this blog's topics through a horror lens, in this case, how to slow down distracted Millennial sensibilities. Listening to radio drama is a step back to an earlier time, when people had longer attention spans; radio plays demand imagination and attention. They are an antidote for today's limitless multi-tasking. You stand at the rim of the abyss, gazing out over … nothing. Your fear mounts as you are compelled to move closer, to look deeper into the darkness. Your mind races as the many possible outcomes of your next step are considered. Your foot wavers above the abyss, and then — — you are falling, lost in the misty realm of your dreams. You see nothing clearly, yet it is frighteningly familiar. You feel terror swell in your throat, but force it back down. It's only a dream, you say to yourself. Dreams aren't real. They can't hurt me. There's no reason for me to panic. And then, dark locks in: it's NIGHTFALL. Part of Nightfall's critically-acclaimed impact came from the fact that the show's creators adapted original Canadian horror plays as well as frightening British and European dramas. The latter were sometimes relocated in isolated Canadian towns, with electric effects. The Porch Light episode from 1982 is an example of a scary story set in a Canadian white-out blizzard, so that the characters have nowhere to run. For 22 years, up until his death in 2002, Lowy hosted The Transcontinental, CBC Radio's "musical train ride through Europe". During that time he also wrote and acted in several radio and television programs (including acting in two NIGHTFALL episodes, in addition to writing this one). This is one of the more unusual plays in the NIGHTFALL series and it merits more than one listen to really get the full effect of the story. A lot of key story points can be lost if you're not paying attention. I have tried for years to find the original short story this is based on, but I have so far drawn a blank. Perhaps a lead might be found if Otto Lowy's files have been archived somewhere. The show adapted classics such as The Monkey's Paw (listen to this searing warning against bending fate and cheating death here), The Telltale Heart, The Body Snatchers, Young Goodman Brown, and The Signalman. 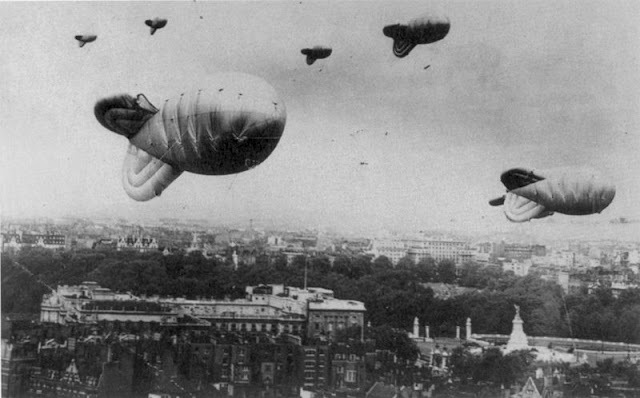 The show also covered science fiction, such as the post-apocalyptic mutant tale, The Chrysalids. Many episodes depended upon arcane glimpses into the future, evil predictions and frightening time loops. A good example is the episode, Mkara: "Ethiopia, 1938. After killing a sacred elephant for ivory, Charles Woodley is told he is cursed, that he will die five years later, on the same date he killed the animal. Ethiopia, 1943. Woodley, believing in the curse ... has deteriorated, is waiting to die. A friend, a doctor, comes to visit." 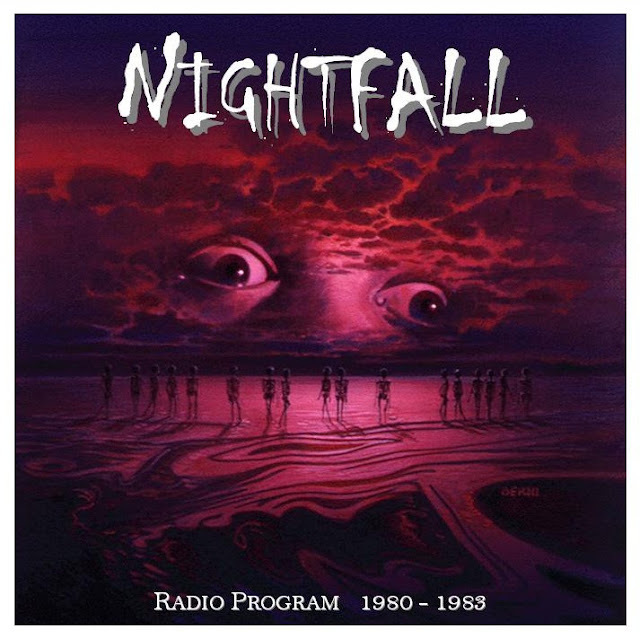 Sometimes, the listening environment brings out the depth of radio dramas: the most harrowing episode of Nightfall I heard in 1982 was The Debt: "A fraternity initiation ritual goes too far, and the young man being initiated is killed. And that's the end of that. Or is it..." I listened to it over a scratchy car radio, while driving on an endless rural stretch in Quebec (where an old seigneurial east-west road is called a rang and a north-south highway is called a montée) in the middle of the night. Montée Rockburn sideroad, Quebec. Image Source: Cycle Fun Montreal. You can listen to many of the total 100 episodes, here or directly above (scroll up and down the right hand menu to see all the episode selections), with summaries and reviews here and here. Recommended episodes include The Devil's Backbone and Wind Chill. For a horror take on American presidential elections, listen to The Monkey's Raincoat, "A satirical vision of the future of American politics, as a freshly inaugurated President must prove his caliber (pun intended) by eliminating several assassins on his way to the White House." Nightfall gained an audience in the United States when it was rebroadcast by National Public Radio. The iconic bicycle moon scene in E.T. Image Source: Universal via Wiki. According to the HuffPo, UFO sightings have increased 67 per cent in the USA over the past three years. The History Channel is investigating. A casual glance at the many blogs devoted to UFOs confirm that they are busier than usual. 5 per cent of reported sightings are not easily explained; most sightings turn out to have clear explanations (like this one in Kansas City - which was in fact "the Army Golden Knights parachuting team, performing a nighttime jump"). An August 23 report in Laredo Texas still has no explanation. Although it turns out Laredo happens to be hosting a UFO conference in November. Alien ships in Childhood's End (1953) were inspired by WWII barrage balloons floating over London. Image Source: Wiki. As for believing UFOs are real, the possibility, while it exists, is likely to be really unpleasant. I've read Childhood's End. Although the aliens there were supposedly benevolent, I found them creepy. The other night, E.T. The Extra-Terrestrial (1982) was on, one of the few movies where aliens are depicted as friendly creatures. What a magical film - it still brings back American childhood at that time, overshadowed by divorce and 80s' consumption, but perhaps for that reason all the more surrounded by withdrawn fantasy, tucked away in the rec rooms of Californian suburbia. It carried a powerful message about overcoming alienation, within oneself, and from others. I'd like to believe in that! 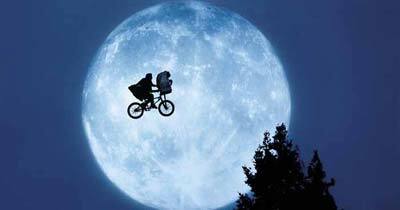 E.T., a pivotal film associated with Gen X youth, celebrated its 25th anniversary in the summer of 2007. And now, in a bad recession, Gen X keeps looking skywards. Hi there. 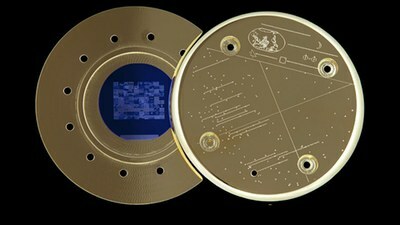 The gold Pioneer plaque, affixed to both Pioneer spacecraft. Who remembers Voyager 2? I do! The 1977 Voyager 1 and 2 projects are still ongoing at NASA. Voyager 1 and 2, as well as the 1972-1973 Pioneer 10 and 11 spacecraft, were sent to gather information, and bore messages that distilled the life on our planet down to a picture, a collection of sounds, and simple messages describing the apex of human development and scientific knowledge. The plaque on Pioneer 10. They serve two purposes. They are time space capsules and attempts to communicate with extraterrestrial intelligence. The spacecraft are historical artifacts, and their messages for alien life sum up human existence, a 'message in a bottle' cast into the sea of space. Any object that washes up on a beach should be treated with caution. A message in a bottle could inspire a rescue of a scarecrow castaway. More often, bottles on beaches are considered a bad sign, a key to a mystery better left alone. In that regard, there was something disingenuous about the 'we come in peace' imagery associated with the Pioneer project. The Pioneer plaques were created at a time when space exploration was optimistic, a product of global village idealism. At its best, space exploration still embodies that part of human ambition. More likely, it will come to reflect the conclusion of Arthur C. Clarke's 1946 short story Rescue Party, about advanced aliens who come to aid humans as earth is destroyed and soon regret it. There is more to the human interest in space than benevolent adventurousness. You can read Clarke's story here.